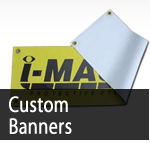 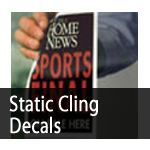 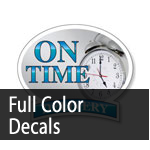 Denver Decalsis your premier Decalprinting source for all your Decal & Printing work. 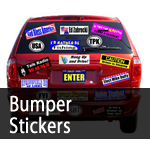 Denver Decals specializes in: Custom Decals or all sizes: Vinyl Decals, Static Cling Decals, Double Sided Decals, Bumper Stickers and more. 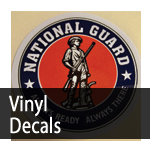 Whatever your needs be: an advertising decal, a Car Window Clings, a Store Window Decals, a Honor Student Decals, or a Bumper Stickers, we will provide you with a high quality professional product. 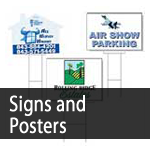 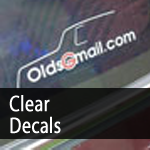 Supporting your decal business with Personal service, Free decal layout and Free decal Set Up! 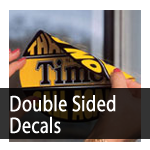 We consistently provide the highest quality decals on the market.